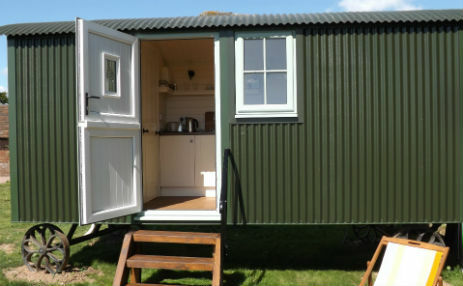 At Grounds Farm we offer glamping for adults in a shepherds hut along side a range of self catering accommodation near Kenilworth in Warwickshire. 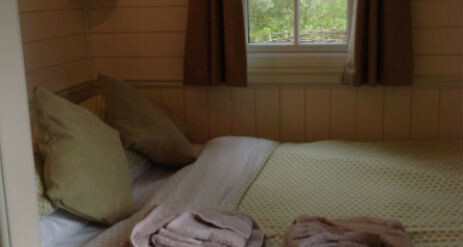 We provide a warm welcome in a peaceful, relaxing location with some great views close to Kenilworth Castle. 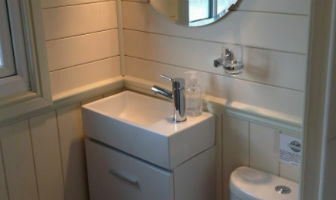 Also close by is Stratford upon Avon, Warwick, Leamington Spa, Coventry and The Cotswolds. We are just a short walk from the pubs and restaurants in Kenilworth, yet we still enjoy a wonderfully peaceful location. 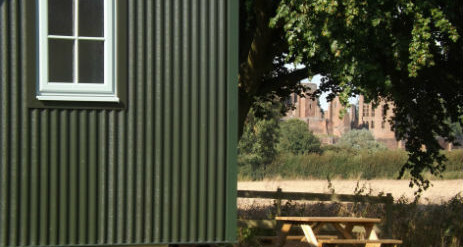 The farm borders Kenilworth Castle so you’re never far from a magnificent view of these famous ruins. 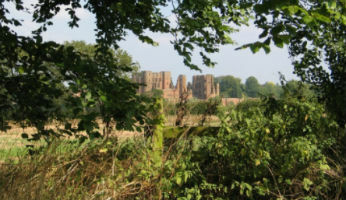 Our family farm is steeped in history having been part of the Kenilworth Castle estate until the early 20th Century and contains some important historical features. Wildlife is very important to the family and so numerous wildlife habitats have been created including plots of seed mix for wild birds, as well as fields rich in flowers for butterflies and bumble bees. 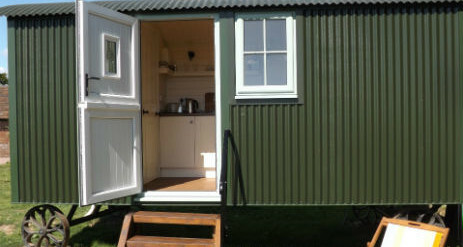 Discover the wildlife for yourself or just take a walk as the farm has numerous footpaths which you can access directly from your location at Grounds Farm. 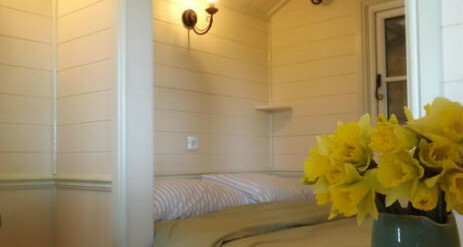 Our luxury shepherd’s hut is perfect for a romantic getaway and is a brand new addition to the farm. 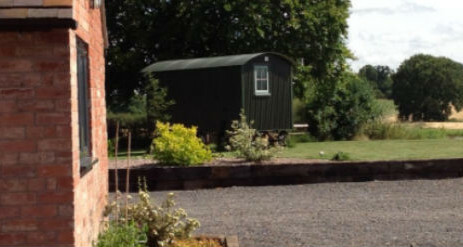 Located on its own garden green, the hut commands beautiful views of Kenilworth Castle and our lovely Warwickshire farmland. 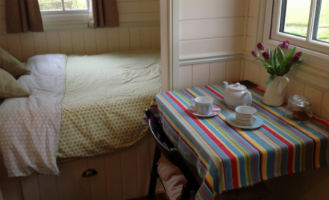 It contains everything you need for a relaxing stay, including a wonderfully cosy bed. 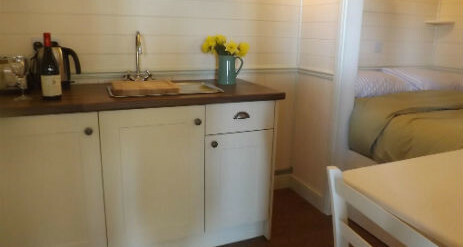 The shepherd’s hut can also be let as bed and breakfast accommodation with a continental breakfast basket provided. The breakfast basket includes homemade bread, homemade jam, butter, cereal and a bottle of milk. You don’t need a car! Kenilworth Train station is less than 2 miles away!